MOSCOW, October 30. /TASS/. Russia has blocked establishment of a conciliation panel in WTO in a pork dispute with the European Union because it earlier made all measures in line with the decision of WTO’s Dispute Settlement Body (DSB), press service of the Ministry of Economic Development said on Tuesday. "The Russian Federation blocked establishment of a conciliation panel at the next meeting of the WTO’s dispute resolution authority within the framework of Dispute DS475 Measures on the Importation of Live Pigs, Pork and Other Pig Products from the European Union. The relevant request was send by the EU to WTO in connection with alleged failure of Russia to perform the decision taken earlier by the DSB and the WTO appeal authority in the said dispute," the Ministry says.
. "Russia completely aligned its measures with rules of the organization subject to conclusions of the dispute resolution authority as early as in December 2017. All the necessary information about specific steps undertaken byRussia believes such step of the EU is unjustified, the ministry notes Russia was sent to the DSB and the EU also in December 2017," it reports. 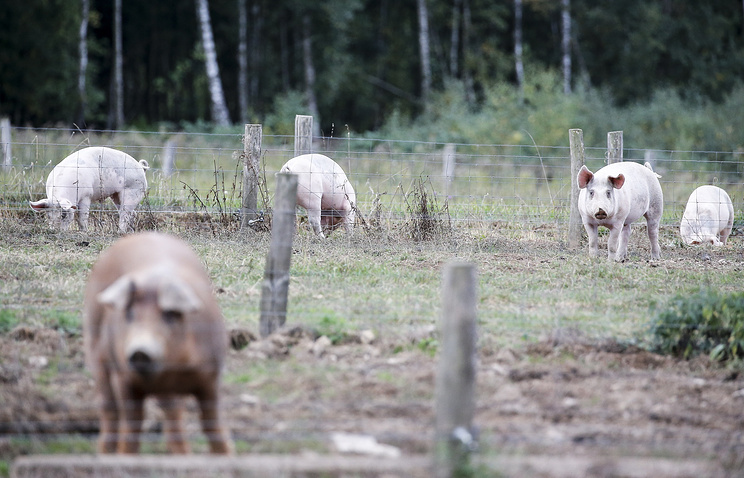 Russia imposed a ban on imports of live pigs and pig-breeding products in early 2014 over an outbreak of African swine fever in Lithuania. In August 2016, the Dispute Settlement Body (DSB) of the WTO ruled that Russia’s ban was non-compliant with the WTO rules. Russia challenged this ruling but its motion was dismissed in February 2017. On December 6, 2017, Russia’s veterinary watchdog Rosselkhoznadzor said it removed the ban on EU pork imports at the WTO request, though the ban on imports of such products would stay in force as these products fall under Russia’s food embargo. In July 2014, the European Union and the United States imposed sanctions against Russia over the developments in neighboring Ukraine. The sanctions have been regularly extended and expanded ever since. On August 7, 2014, Russia imposed a package of counter measures against the European Union, the United States, Australia, Canada and Norway. Thus, it banned imports of fruits, vegetables, dairy and meat products from these countries for a period of one year. The ban was subsequently extended as well. 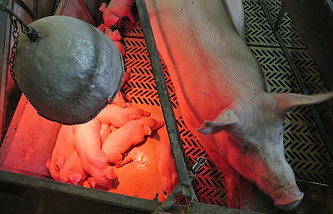 Russia’s Economic Development Ministry said earlier on Monday that the EU’s call for compensation amounting to 1.39 bln euros per year over Russia’s ban on pork imports is groundless since the country has met the WTO’s demands and lifted the veterinarian ban imposed over the outbreaks of African swine fever.